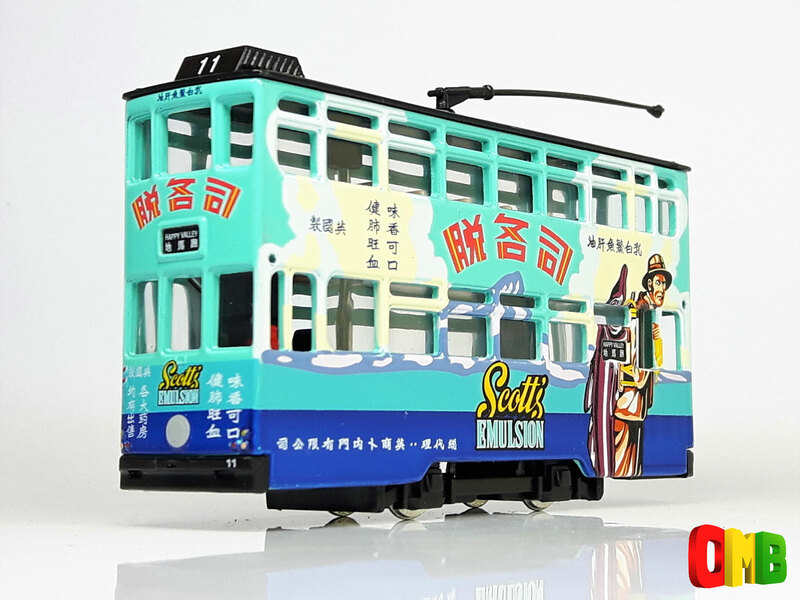 The model - this tram carries Scotts Emulsion all-over advertising. The model comes in the standard green 'Hong Kong Wonders' box. A 'Scotts Emulsion' postcard confirms it is one of 3,000.